For maintenance of all commercial establishments such as restaurants, hospitals, hotels, kennels, nursing homes, apartment complexes, prisons, municipal buildings, landfills, funeral homes, clinics, grease trap, industries, drain lines, down pipes, portable-toilets, sewage treatment plants, lift stations, sewage trucks, septic tanks, marinas, recreational vehicles, wet wells, fountains, ponds, schools & more! New Improved Patented Formula! Now even Stronger! Made by same the team of Scientists who helped clean the Exxon Valdez Oil Spill! Bio-112 is the latest technology in Grease Trap Maintenance. Over 500 Trillion lab cultivated Bacteria/Enzymes work to completely remove FOG (Fat, Oil and Grease) and Sewage rapidly and safely. •	Fast acting! See results in no time! • from grease traps and drain lines. •	Eliminate pump-outs. Saves you money! • contaminants, protecting food sources. • dispensed using one of our Bio-Injectors. 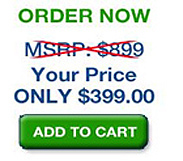 Click here to see more PRODUCT DETAILS or ORDER NOW. Are you a first time customer? If you open an account with us and purchase one of our BIO 112 Grease Trap Cleaner 5 gallon containers, you can receive $50 back to your credit card on one of our Injectors shown below. 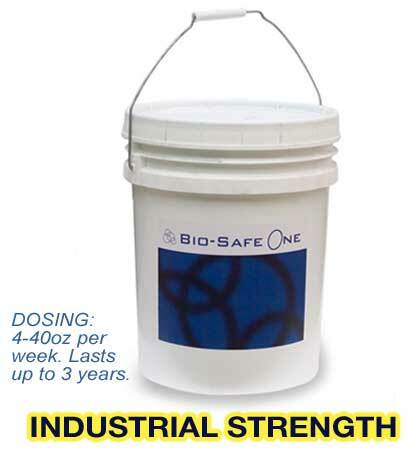 Dispense Bio-112 Grease Trap Cleaner & Grease Digester automatically with one of our Bio-Injectors. Why should I maintain my Grease Trap Clean? Fat, oil and grease (FOG) can clog waste-water collection and treatment systems, grease traps, septic tanks and holding tanks causing sewage spills, manhole overflows, property damage, environmental problems, and health hazards. Animal and vegetable based oil and grease, generated by restaurants and fast-food outlets that do not adequately treat their waste, are the main contributors to these problems. For restaurants producing grease, adequate grease control is a must. The accumulation of FOG can not only cause physical damage to the waste-water system, but can be a health hazard. Particulate matter in the form of sewage, spoiled food, mold, bacteria and other material, which can be hazardous to the health of restaurant patrons can accumulate and be dispersed in the air when FOG is not properly treated. Air-conditioning systems can and will circulate unwanted particulate matter from untreated FOG. Untreated FOG can also attract pests, such as roaches, mice, and rats. Ultimately the accumulation of untreated FOG can lead to health code enforcement violations. Bio-Safe One, Inc provides an easy, affordable, environmentally friendly, and effective way to treat FOG. We use a scientifically advanced formula of trillions bacteria and enzymes to treat FOG in your restaurant, grease traps, and waste-water systems. Our formula of laboratory cultivated bacteria and enzymes actually digest FOG, and sewage, to clean your system. There is no other treatment on the market which is as effective as ours at decontaminating, and treating your system. • scientists who helped clean the Exxon Valdez oil-spill. Who can use Bio-112 Grease Trap Cleaner & Grease Digester? What can we use Bio-112 Grease Trap Cleaner & Grease Digester for?